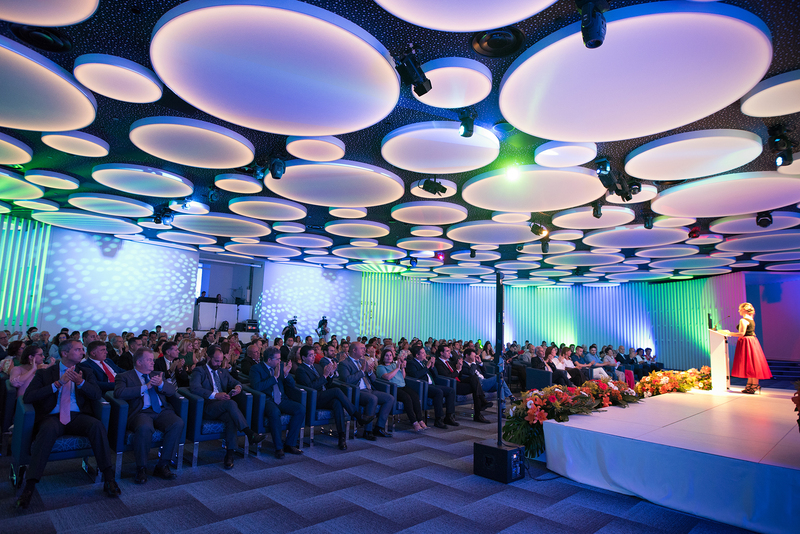 ‘Turismo de Tenerife’ has been making efforts for years to promote the island as the ideal destination, not only for visitors who want to know its charms, but also for the celebration of Congresses and Conventions. Indeed, the MICE segment, specialized in the tourism of meetings of this type, is one of the most fruitful and active of the current panorama. Aware of this, GF Hoteles has been collaborating with the organization ‘Tenerife Convention Boureau’, dependent on island Council, offering the facilities of its hotels as a venue for events and in constant activity to contribute to this interesting project. What is it that our island offers that may be of interest for business associations? With a extensive experience hosting this type of event, Tenerife can currently boast of being one of the most interesting destinations, given its strategic location, its privileged climate, its tax advantages and, of course, a compendium of activities of great interest to visitors. In a scenario in which employers demand more and more formulas to make contacts and continue to form it, congresses, forums and colloquiums are the perfect format for the generation of ideas and synergies in business. Although the canarian companies have increasingly prominence at a national and international level, we are at the perfect moment to promote this type of tourism. The island also stands out for its complete hotel infrastructure, with up to 184 establishments currently working with ‘Tenerife Convention Boureau’. In this sense, the work of GF Hoteles and, particularly, of our Hotel GF Victoria ***** GL comes into play, whose facilities have been conceived to host this type of meetings. And it is impossible to remain indifferent when entering our impressive meeting room ‘Las Olas, whose modern design, with capacity for 500 people, and all its features, are perfect for hosting meetings of this type. 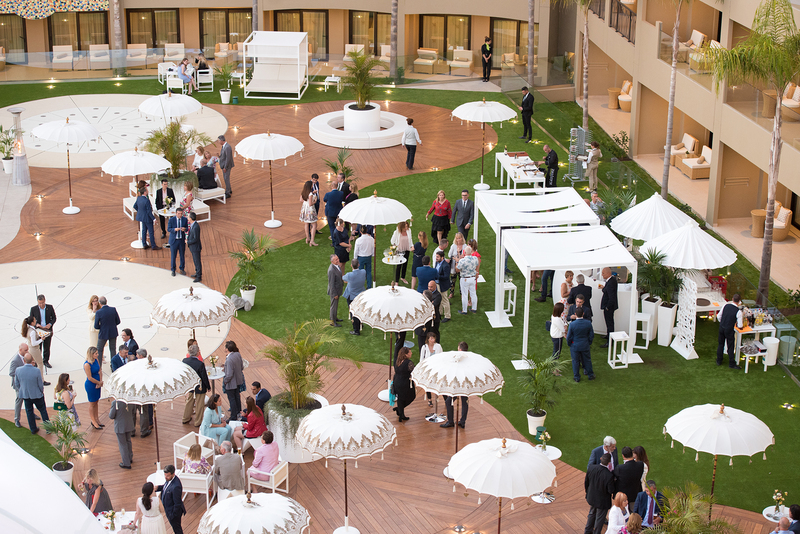 The objective of these events is, as we have said, to establish relationships, which is why we make all our facilities available to attendees, from smaller meeting rooms to our gastronomic spaces and outdoor areas. 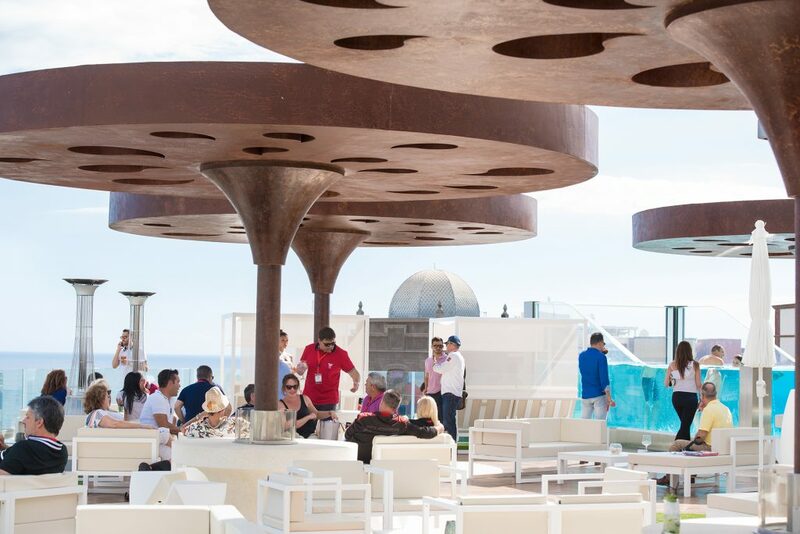 And there is nothing like inspiring in the most relaxing spaces of our hotel or enjoying a few canapés and a cocktail with good company, on our rooftop, where you can enjoy incredible views from our Sky Bar Zambra or the dazzling atmosphere in our Jardín del Sol. Also, our 242 suites are fully equipped to ensure a comfortable stay, with high-speed Wi-Fi connection for frequent work evenings in the room, and all the amenities available to our guests, who wish to end the day of the better way. Undoubtedly, a place to be taken into account by companies and organizations that plan to carry out events of this type. Contact us to tell us your ideas and we will give you the perfect formula for a successful outcome. This entry was posted in Actividades, Hotel. Bookmark the permalink.